Welcome to the Thomond Community College website. The website is designed to provide you with information about our school and to provide regular updates. In September 2016, Thomond Community College was established under the trusteeship of the Limerick and Clare Education & Training Board. Thomond Community College is a multi-denominational, co-educational school and is an Amalgamation of the Salesian Secondary School, established in 1955 and St. Nessan’s Community College, established in 1978. 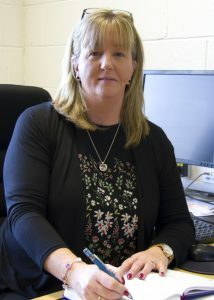 Thomond Community College is very mindful of the ever-changing educational landscape in which we operate. We acknowledge and appreciate that students achieve best when they are in a caring environment. The staff of Thomond Community College take a personal interest in the growth and development of students in their care and provide a holistic, rounded educational experience, enabling all students to take an active role in society. We strive to foster and maintain a strong Pastoral Care support structure for students. We are highly committed to embracing new initiatives and methodologies to enhance the teaching and learning environment in our school. We pursue educational excellence where students’ interests and talents are nurtured. We promote and support positive behaviour and social awareness throughout the school and local community by building respectful relationships and encouraging critical thinking to promote natural justice, mutual respect and co-operation. An inclusive atmosphere of friendliness, joy and celebration is characteristic of the educational approach of the college which enables students to be respectful of diverse cultures and beliefs.I am confident that Thomond Community College will provide your son/daughter with a rounded educational experience so that they will emerge from their time with us as responsible members of society.